Sardinia may be one of the best places in Europe you dream to spend your summer beach holiday. When you get there, you will find several emerald-colored waves surrounded by white sandy beaches which can easily be accessed by a ferry from the mainland. The Island has more than 2,000-kilometer coastline, which means that you can find a beach to suit your taste. 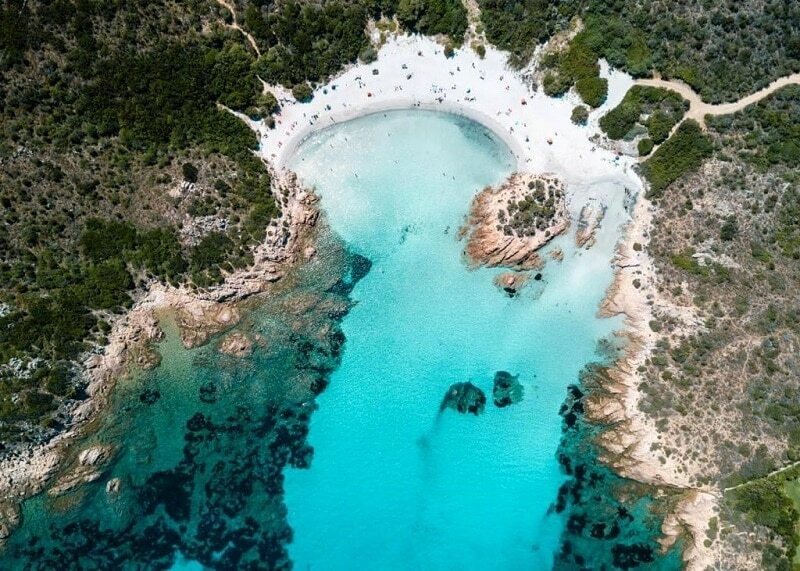 Whether it is a private cove beach, family-friendly beach, party beach or a beach ideal for watersports, the beaches in Sardinia has got you covered. 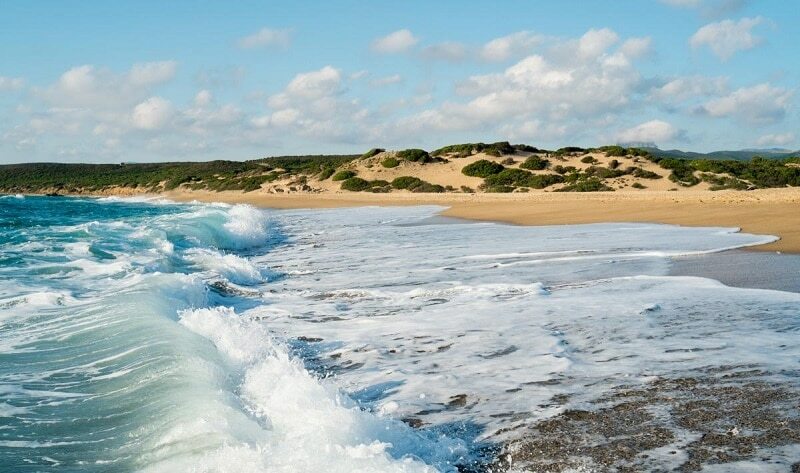 Ensure to visit some of these most beautiful beaches in Sardinian we’re recommending for you. Is Arutas is a famous beach recognized for its sugary white sands and calm atmosphere. You can get to this beach through a vehicle depending on your location. 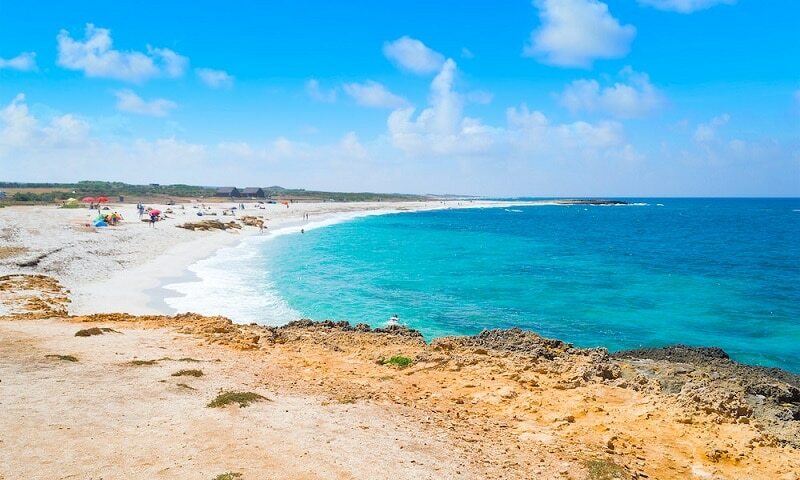 Situated at the Sinis Peninsula, this beautiful beach is really worth visiting. The celebrated white sands of Is Arutas used to be taken to different places such as private beaches and aquariums. Also, the picturesque beach is an ideal spot for wind, kite, and wave surfers. For those that would rather bask in the sun, walk on the sharp white sand or relax while enjoying the spectacular views of the sea, this place is a must for you. Has its own unique look, compared to many other beautiful beaches on the island. Situated on the Costa Verde, the emerald-colored waves surrounded by golden sands give a taste of the wilder side of Sardinia. Spiaggia di Piscinas is renowned as the wildest beach on Sardinia Island, and it stretches about 2 kilometers inland, which gives an impression of being a desert. Adding to its wild environment, you can find some rare plants here. For the scuba divers, make sure to explore the ancient lead vessel wreck which can be found off the shoreline. If you are looking for a family-friendly beach to spend the day, you should consider giving Spiaggia Rena Bianca a try. Bordered by hills covered in lush greenery, this picturesque beach has some of Sardinia’s shallowest waters. The shallow water nature of Spiaggia Rena Bianca is suitable for children and amateur swimmers. Explore the island of Corsican from Spiaggia Rena Bianca and spot the architecture of Torre di Longonsardo which has existed since the 16th century. You can also decide to take a stroll along a trail to view the beautiful rock formations and stunning scenery. 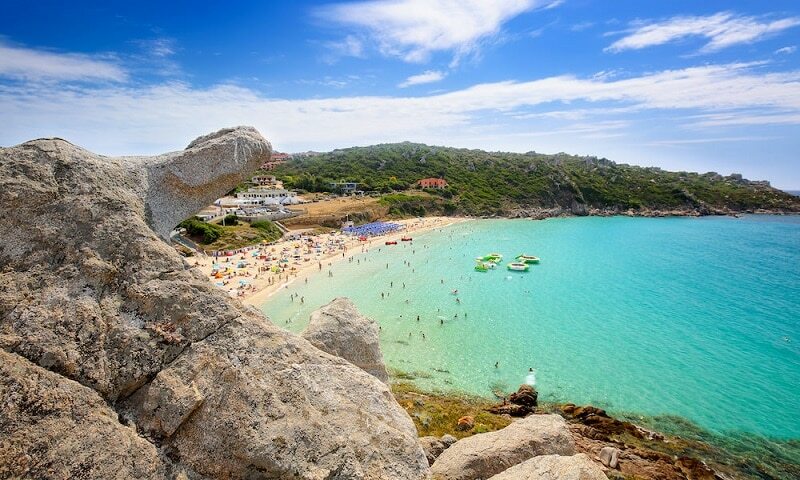 Spiaggia del Principe is one of the most beautiful beaches in Costa Smeralda. The secluded Spiaggia del Principe surrounded with low cliffs is famed for being Prince Karim Aga Khan’s favorite beach. This lovely beach which actually got its name from the Prince is always very busy during the high season. If you rather want to have a personalized and idyllic experience in Spiaggia del Principe, then you should visit the beach earlier in the year. White sandy beach with turquoise to cobalt blue waters makes the beach ideal for snorkeling.